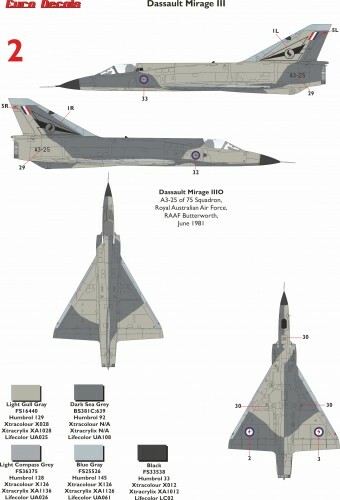 Time to break out the newly released Revell kits from the stash! 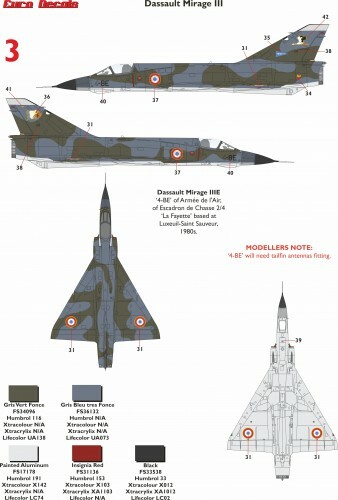 Nice to see these additional markings for the big Mirage. 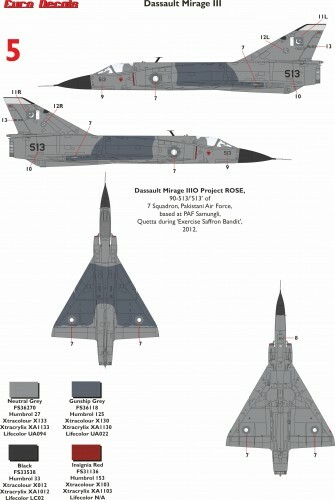 A pity the SAAF roundels are all the same size. The Mirage III variants in the SAAF had 30 inch wing roundels. At least their shape is much better than the kit ones. 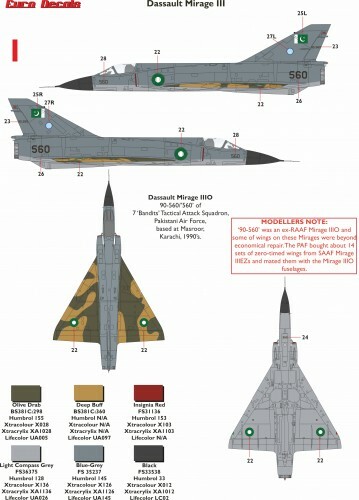 Maybe an addendum addition with only four 30 inch SAAF roundels ?